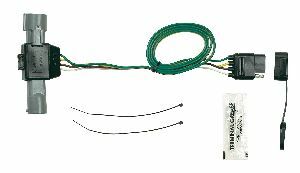 Showing 1 - 1 of 1 Products for Trailer Wiring Harness. Dont splice onto your vehicles factory wiring harness. Simply plug in this Hopkins(R) vehicle wiring kit featuring exact OEM matching connectors for a perfect weather-tight fit. This kit includes the accessories needed to get you towing faster.